Riley is a senior financial analyst at a Fortune 500 company with a CPA and M.S. in Applied Economics who aspires to help young professionals navigate the sometimes-murky waters of finance. 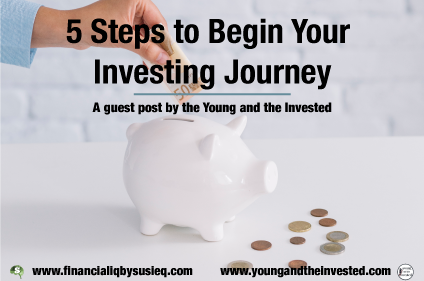 He is also the author of the blog, Young and The Invested, which is dedicated to growing an online community for young professionals looking to improve their financial literacy and develop strategies to reach financial independence. The oldest rule in investing is also the simplest: “Buy low, sell high.” While it seems blindingly obvious and begs the question of why anyone would want to do anything else when investing, you might be surprised how hard it is to put into practice. Investing is a discipline which plays not only on astute analysis and remarkable luck but also on people’s behavioral responses. Holding onto your stocks during periods of intense market volatilityThe possibility that something will deviate from its expected or average value, including both good and bad results. takes a lot of courage and isn’t what the human brain is wired to withstand. But how do you approach investing if you don’t have a background in it? Without much prior experience, it’s tough to say. There’s an ocean of information out there and sorting through it requires deliberate, thoughtful reflection when piecing together what you’ve read. When it comes to growing your wealth and working toward financial independence, investing is an important tool. Through investing, you can buy assets which, hopefully, grow in value, whether it is a home, a retirement account, stocks, or bonds. Let’s walk through some simple steps on how you can begin your investing journey. This past summer, I attended a wedding with my wife and her family where my brother-in-law approached me with a conversation about investing. He wanted to know how he could replicate the performance seen by the world’s greatest investors. Essentially, he wanted to turn a small sum of money into an account balance with two commas in quick fashion. If only I knew the sure-fire way to make that path my own reality. If I did, we wouldn’t have driven to the wedding in a rented subcompact. I cautioned him those investors are truly gifted and the exception to the norm. But what I then told him is the common trait these legendary financiers share: following a systematic and disciplined approach to investing. I told him regardless of investing style, timeframe, or philosophy, they all have discipline, transact based on logical, informed thinking and do not let emotions drive their decisions. These are the most important elements required for investing success. But don’t just take my word for it, many folks seem to agree,,,. The aforementioned investing strategies are merely a means to an end and come later. Any investor starting out should develop these core principles and learn to stick to them during times of good and bad. As I explained this to my brother-in-law, I could see his disappointment in my not knowing any shortcuts to overnight investing success. However, we launched into a discussion around how he could develop his own disciplined investing approach by first becoming a student of markets. Knowing that this discussion could become overly cumbersome in just one conversation, I decided to share only introductory steps. Investing isn’t easy but, at the same time, it shouldn’t be seen as a frightening endeavor. 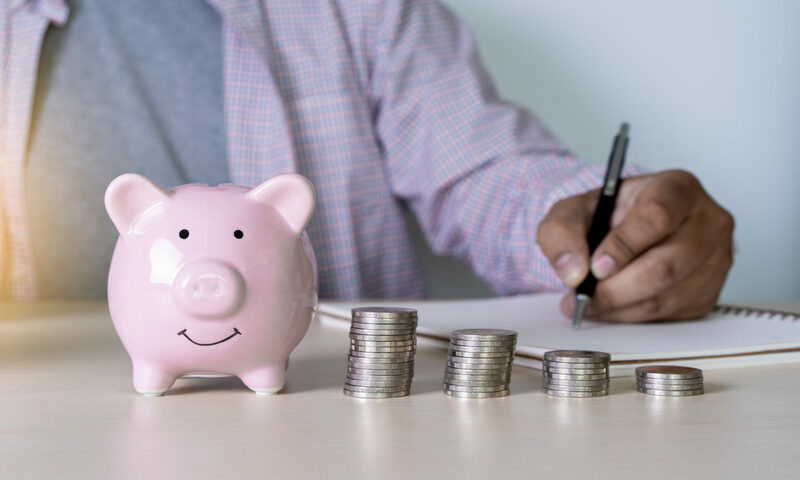 If done wisely and consistently, investing can separate retiring comfortably at a reasonable age from working into your golden years out of necessity. Sounds logical, right? You’d be surprised by how many people I’ve heard say they got into a stock simply because so-and-so recommended it. This person winds up not doing a lick of due diligence before investing. This person didn’t know what was happening in the market, nor anything about the company beyond it being a hot stock tip. To counteract this, I suggest first beginning by reading reputable sources that discuss markets (e.g., MarketWatch, the Financial Times, the Wall Street Journal, Reuters, Yahoo Finance, among others). As you read more, I suggest approaching every article with a heavy dose of skepticism. This will make you more likely to piece together content from multiple sources and form your own thinking about markets and the companies in them. Many investors seem to think lackluster stock market movement during this quarter’s earnings announcements indicates peaking corporate profits. When companies announce record earnings and markets barely move, it must mean expectations were high and future earnings don’t look to get any better. Analysts, or those people who follow stocks and publish opinions on them, disagree, and are increasing their profit projections at the highest rate in 6 years. This is where the skepticism should come into play. This conflict means someone is wrong, but who? Perhaps both are right and yet both are wrong. The truth likely lies somewhere in between. A growing economy and corporate tax reform have benefited companies but trade war activity makes for an uncertain outlook. To illustrate uncertainty, reporting companies have seen the most volatile trading in two years immediately after announcing earnings results. However, it appears this trading reaction could be the result of poor understanding of the effects of the recent tax reform legislation and clouds the visibility for accurately forecasting future earnings. Therefore, the volatilityThe possibility that something will deviate from its expected or average value, including both good and bad results. merely highlights poor forecasting abilities, not necessarily anything indicative of market direction. A lot of positive developments exist to push markets higher but looming risks serve to temper optimism usually present with such strong earnings growth. Bottom line: there doesn’t appear to be a strong case for a plummeting market but neither for a sustained rally. As you read more pieces like this, reflect after each one and begin to piece together content from what you’ve read. Building this understanding won’t happen overnight. Naturally, you will come across individual companies. You should identify companies consistently performing well or making strides to improve. I recommend starting your journey by researching five companies you admire and understand (preferably in different industries) and cultivating ideas about the strategies of each firm, their competitive advantages, and the core value they provide. If you don’t believe any of these items to be durable over time, I would suggest moving on. Recognize what sets these companies apart from their peers, the prospects for the markets in which they operate (e.g., growing market vs. declining market), and how the market values them. Cast aside companies if you uncover something you don’t like. 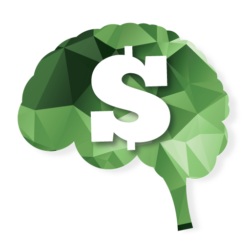 Don’t let sunk costs guide your thinking. Even if you are wrong in not liking the company, there are many other companies out there about which you don’t uncover anything you don’t like. Investments in these companies will be less risky. Ultimately, a stock represents a piece of a company, so sustainable profitability is an important factor. You really want to assess how profitable these companies can be, because before you decide how much to pay for a stock, you need to understand how much money that company makes. If the company makes a lot of money consistently, you will likely have to pay more to acquire the stock. At this point, if you’ve gotten a decent handle on the overall market’s activity and analyzed a set of attractively-valued companies you think stand out from the rest, it’s your time to pull the trigger. There are a number of retail brokers you may use to invest in individual stocks (e.g., Interactive Brokers, TD Ameritrade, Charles Schwab). By doing your due diligence, you will be able to follow these companies and see if they continue to perform as you expect. If a company makes a decision you don’t agree with or think will adversely impact its value going forward or the environment in which that company operates changes in a way that is adverse to the company, you might consider cutting your losses short and moving on. Investing is hard. It’s more art than exact science. By writing this step-by-step guide, my goal is not to simplify the act of investing. In fact, what I want to convey as clearly as possible is just how difficult it is to invest in individual stocks. Investing is so much more than following some rules of thumb. Getting an edge is difficult so you shouldn’t develop irrational self-confidence and think you have an investing edge when you really don’t. Usually, being humble and saying to yourself that you don’t really know can be great to steady your decision-making. If you don’t have confidence in selecting individual companies to outperform the market, another strategy is to use exchange traded funds (ETFs) to invest. You can consider investing in low-cost ETFs through brokerages (e.g., Vanguard) or robo-advisors (e.g., Betterment). Personally, I use both of those services to hold my ETFs. I prefer Betterment because it automates my ETF holdings based on scientific research matched to my stated financial goals. • Traditional - No taxes are paid on the contributions or any changes in the market value of the investments ... More account with the stated financial goal of growing money through retirement in about 30 years. Because of this goal, Betterment chooses to hold a diverse portfolioA group of financial instruments. of 90% ETFs ranging from small cap value to globally diversified ETFs. I recommend that you start your investing journey with ETFs, especially when you can hold these investments for long periods of time. This allows the last real-edge in investing to work its magic: time in quality investments. I think about smart investing in a way that minimizes mistakes instead of pursuing maximum gains. I don’t like taking on uncompensated riskThe possibility that something bad will happen.. When investing, doing less is more. Therefore, I recommend investing through low-cost ETFs. Investing well can produce very rewarding experiences you share with those you love. For me, it allowed me to buy my first home and now to grow the assets necessary to purchase my next one together with my wife to start our family. In general, developing your own disciplined investing approach based on rational, informed decision-making can lead to financial independence. Learning how to invest wisely at a young age will have you maximize your youth by allowing compounding to work to your benefit. Do yourself a favor and invest in yourself by following these five steps to begin investing. A big thanks to Riley for writing this post. He makes many important points to consider as you get started with investing. I invited to write a guest post on investing, as I haven’t written much on that topic yet. I greatly appreciate his rounding out the breadth of topics covered on our blog. Thanks so much for having me on the site, Susie. It’s a real pleasure to swap guest posts with each other. Be sure to look for Susie’s great write up on budgeting coming out the third week of January!